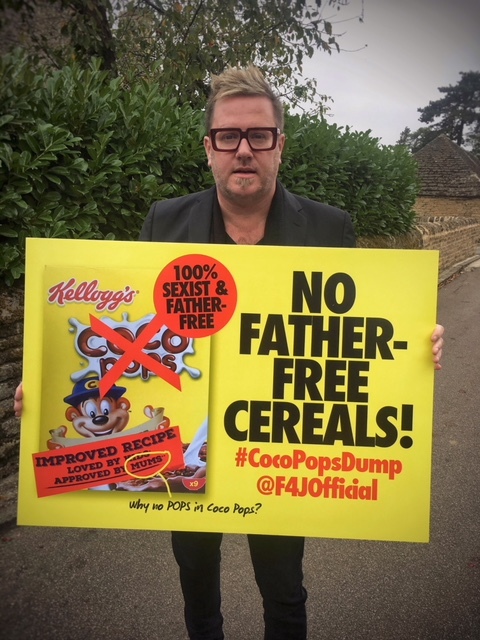 Multi-national cereal giant Kellogg’s have agreed to change Coco Pops branding after a protest by Fathers4Justice in a Peterborough supermarket on Tuesday. Father of three, Matt O’Connor, 51, from Clapham, and Paul Robinson, 56 from Portsmouth, Hampshire, staged a protest at Asda in Rivergate, Peterborough, on Tuesday afternoon, over what they called ‘cereal discrimination’ against dads on packaging for Kellogg’s Coco Pops. 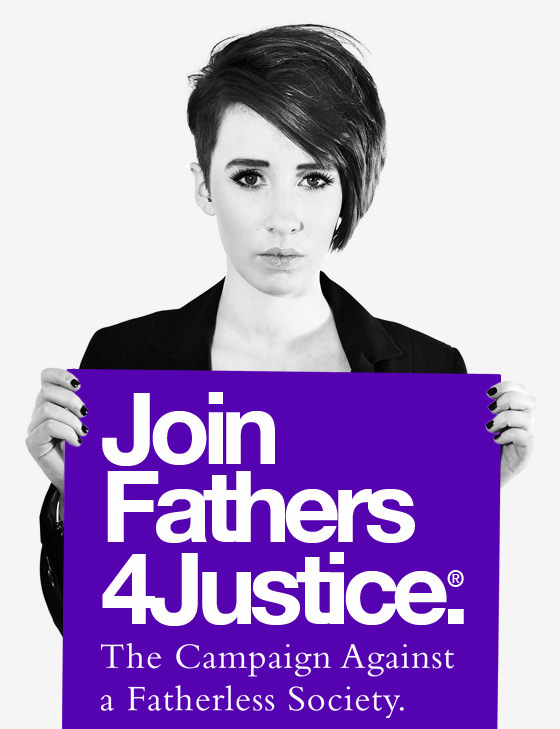 Mr O’Connor – who is the founder of campaign group Fathers4Justice – went into Asda, Peterborough, with Robinson on Tuesday to protest about the packaging by dumping packs of Coco Pops onto the floor before pouring milk on them. During the protest, he asked shoppers to ‘dump’ Coco Pops and boycott the brand. The duo filmed the incident and broadcast it live on Facebook before security escorted them to a back room and armed police were called. 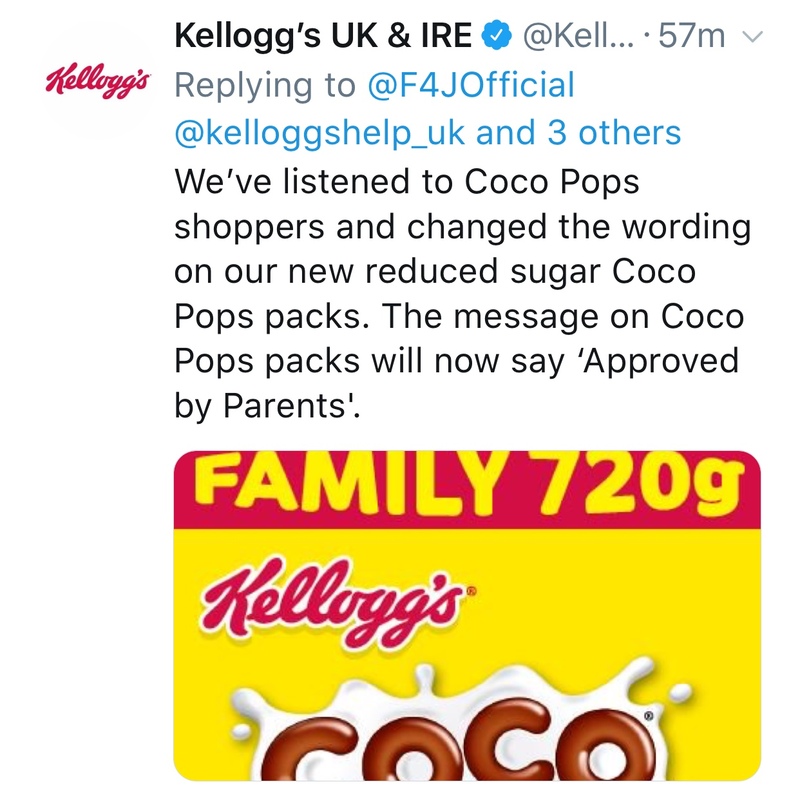 Within minutes of the protest starting, Kellogg’s tweeted that they would change the packs to say ‘Approved by Parents’. “I am delighted that Kellogg’s have responded quickly and responsibly and I hope other big brands take note. When it comes to families, and the marketing of products to them, both parents matter,” said Mr O’Connor. 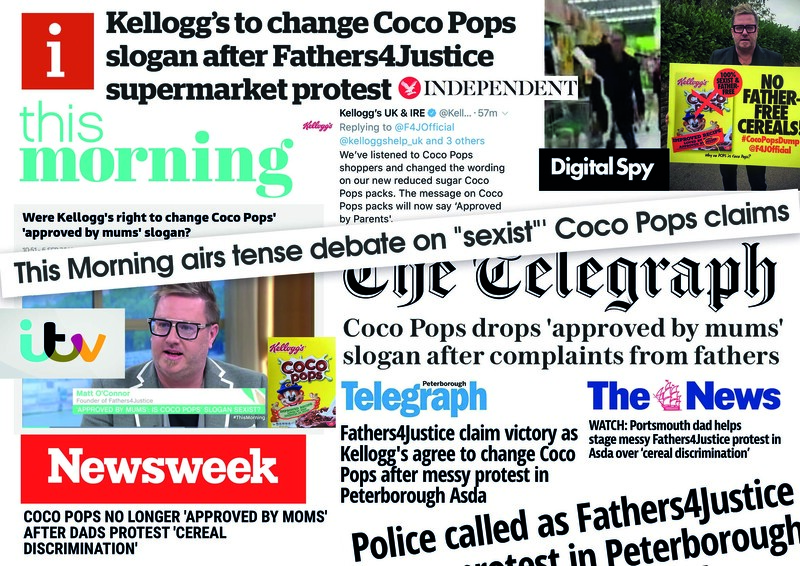 Putting the ‘pops’ back into Coco Pops stirred up national media coverage on ITV’s This Morning (1.2m viewers), The Telegraph, The Independent and Newsweek alongside regional press and social media. ITV This Morning: Were Kellogg’s right to change Coco Pops ‘approved by mums’ slogan? The Independent: Kellogg’s to change Coco Pops slogan after Fathers4Justice supermarket protest. Newsweek: Coco Pops no longer ‘approved by mums’ after dads protest ‘cerea; discrimination’. The Telegraph: Coco Pops drops ‘approved by mums’ slogan after complaints from fathers. Digital Spy: This Morning airs tense debate on “sexist”‘ Coco Pops claims. Gizmodo: Angry dads win Coco Pops box change with dirty protest. 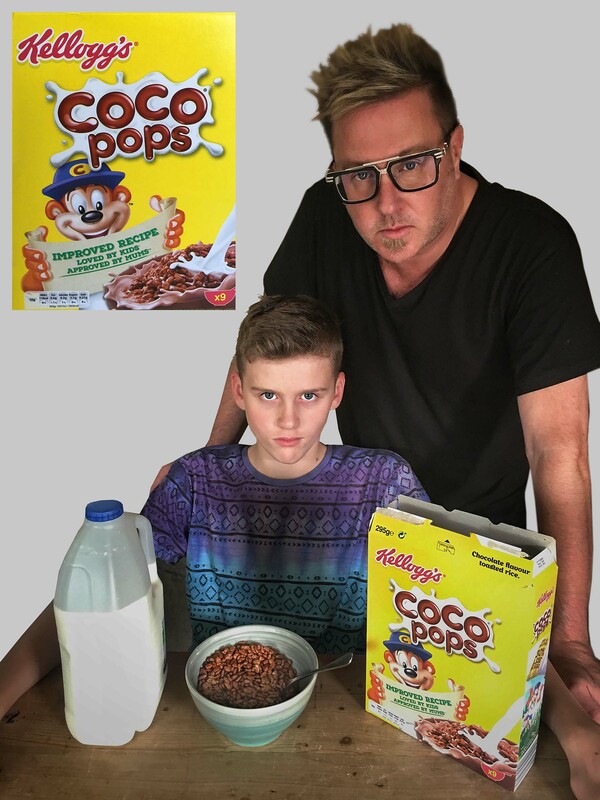 Peterborough Telegraph: Fathers4Justice claim victory as Kellogg’s agree to change Coco Pops after messy protest in Peterborough Asda. Peterborough Telegraph: Police called as Fathers4Justice stage messy protest in Peterborough City Centre Asda over ‘cereal discrimination’. Portsmouth News: WATCH: Portsmouth dad helps stage messy Fathers4Justice protest in Asda over ‘cereal discrimination’.